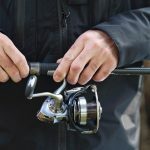 We all love the time and preparation that goes into getting a bite and hooking up a fish but we all know that’s only the half of it. Getting the fish on the line is the first part of the job, getting it on deck is another. That’s the fun of fishing, especially fishing with fish that fight – this is where the drag feature of the spinning reel really comes into play. How many times has a fish or have you snapped a line? That “shwack” is such a particular sound. You know that know you have to rig it all up again while everyone else is getting in on the fun. We all find plenty of reasons to explain why the line snapped but none of them really help much. It’s times like those that snap-on rigs really are the way to go, once you’ve got all your line back on your spool, that is. 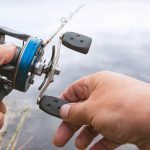 Drag is an awesome feature of the majority of spinning reels that anyone getting into fishing should get comfortable with as soon as possible. Drag can help you catch fish while it saves you from busting a lot of fishing line. And that’s what drag is for; to reduce pressure on the line, the rod and the reel before something gives and the other purpose is to wear fish out as they use energy each time they pull out your fishing line. You will notice each successive run of the fish gets shorter and shorter as the fish fights your drag. 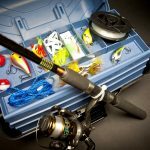 It’s fair to say that the drag system of any reel is one of the most important features if you know how to use it well. The drag system is essentially an adjustable clutch that slips and grips when you need it to most. The most basic type of drag systems on spinning reels use a series of metal and fabric washers that all have a hole in the centre. These washers are then stacked alternating between metal and fabric inside the centre of the spool. You can tighten or loosen the pressure of those washers on the spool to adjust the drag. Getting the knack of setting your drag just right takes practice and you will enjoy the process. The best way is to start off is going a little light instead of not getting any benefit out of your drag by going too heavy and busting line. With your drag adjusted light, fish are more likely to throw the hook instead of you setting it because you’ll lose force. The choice of line is never an exact science nor is the fish on the end of your line but drag evens up the game a little bit. With the drag set up right, you are in the best position to get that fish on deck. Generally speaking, monofilament fishing line stretches much more than braid that doesn’t embody stretch. This means you can set your drag a little lighter with braid than you would with monofilament, which has a kind of built-in shock absorption nature to it. Drag is a really big deal today, especially on the most high-end fishing reels. There is a lot of technology, some of it is literally out of this world. 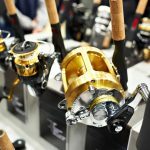 Don’t let that get you down, entry-level fishing reels by the top name brands with drag will do you really well. It’s a little bit like racing car technology, the technology trickles right down to the family sedan. You’ll be amazed at what you can get in a spinning reel for $50. The trick to getting your drag right is to increase the drag with controlled-purpose as the fish goes on a run. It’s a great way to slow them down. There’s a lot of learning to be had with drag, for example, if you are using a lighter action rod, you might want to go with a lighter drag setting. Take your time getting into drag and learning how to use it because you’ll have loads of fun during the process. 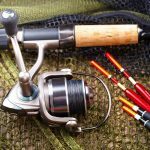 Is there anything else you think we should add to this article about spinning reel drag systems? 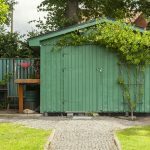 Share your experience with the community below.